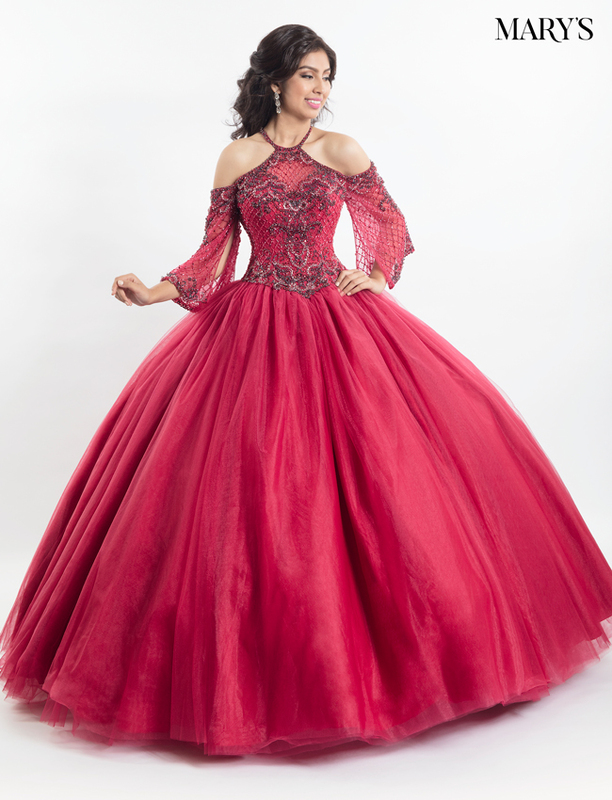 Our ALTA COUTURE Quinceanera Couture Dresses are beautifully designed using organza, lace and several other fabrics that give the desired princess look. 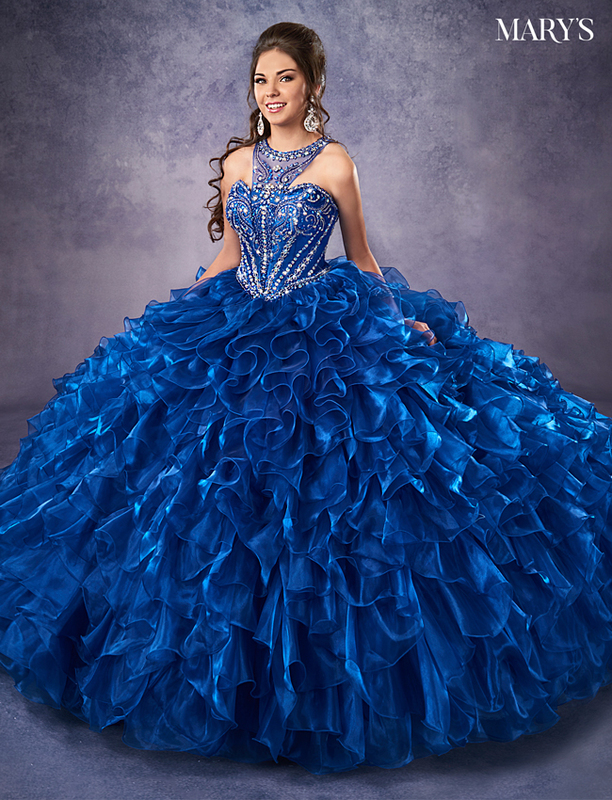 MARY’S Quinceanera Couture Gowns feature beaded bodices, strapless sweetheart necklines, rosette ruffle skirt with chapel train, tulle skirts, denim sweetheart corset tops mini skirt, and bolero. Some of our designs come with cap sleeves or matching boleros. No matter what your particular style is, at MARY’S we are confident we can find you the dress to suit your tastes.